Our Laboratory has the most accurate technology available for the steroid testing community. Liquid Chromatography Mass Spectrometry (LC/MS/MS) is research quality laboratory equipment, and can accurately quantify substances well below cutoff levels. This technology surpasses Gas Chromatography Mass Spectrometry (GC/MS), which in the past has been labeled the "gold standard." Our Laboratory currently owns and operates 4 LC/MS/MS instruments and we are constantly investing in technology. Our Laboratory is the platinum standard. 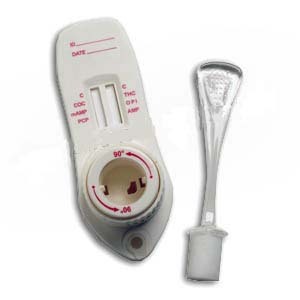 The urine collection device developed by our Laboratory is as innovative as the testing process. A syringe within a sealable tube minimizes accidental spills or specimens destroyed in transport. The design provides ample volume of specimen for the lab and is less bulky than urine transport cups. Because Our Laboratory's collection devices are compact and lightweight, this reduces transportation costs.